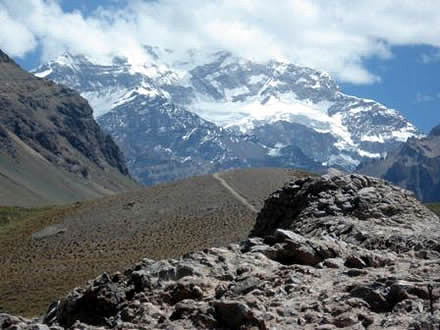 This tour leads through the breath-taking mountain landscape of the Andes, coming close to the Aconcagua – at 6,957m/22,856ft, the American Continent’s highest mountain. It lies on the Argentine side of the border, about 160km/100mi north-east of Santiago. 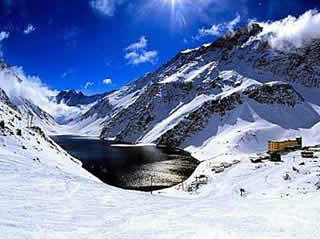 Numerous view points on the drive there provide opportunities for photo stops: for example, at the winter sports resort of Portillo, reached shortly before the Argentine border. 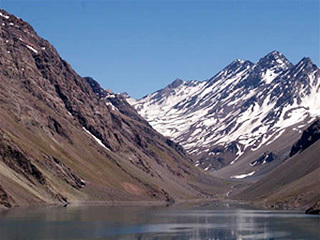 There is a unique view of the summits of Ojos del Agua (4,239m/13,908ft) and La Parva (4,852m/15,919ft) from there, as well as of the mountain lake Laguna del Inca. 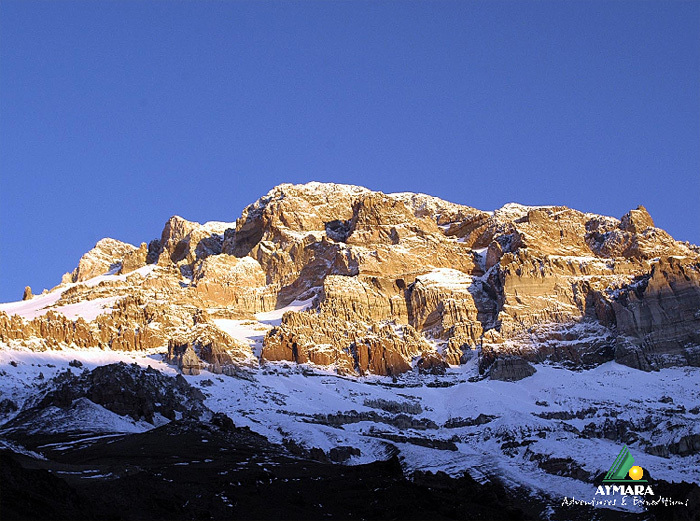 A short distance beyond the Argentine border, you will reach the natural bridge of the Puente del Inca where you will have a terrific view of Aconcagua and the high Andean panorama all around. An optional lunch is available at the restaurant of the Portillo resort hotel, or in the gourmet restaurant of La Table France. 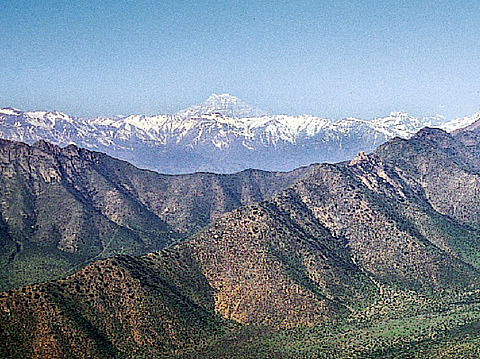 The route back to Santiago through the Aconcagua Valley leads past giant fruit orchards and vineyards. This tour is also possible with an overnight stop..